WRCC Back & 4th are very excited to let you know about a brand new transport service available in the rural areas of Rugby Borough. What is Back & 4th Dial-a-Ride? 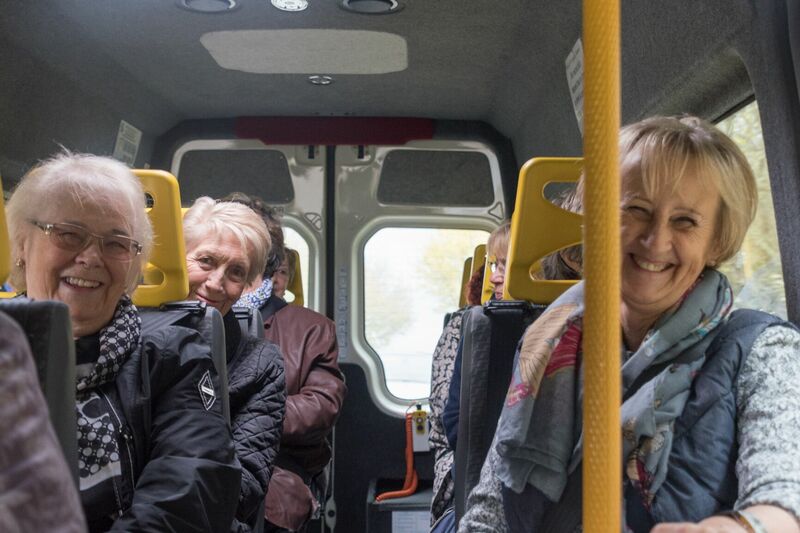 Back & 4th Dial-a-Ride can be used to access all sorts of activities in Rugby town area such as visiting friends, attending social groups, leisure activities or shopping. • This is a door-to-door service and drivers will provide reasonable assistance with boarding and alighting the vehicles. • All vehicles are fully wheelchair accessible and have low-floor steps for ease of access. Back & 4th Dial-a-Ride accepts concessionary bus passes so can provide transport to holders free of charge. 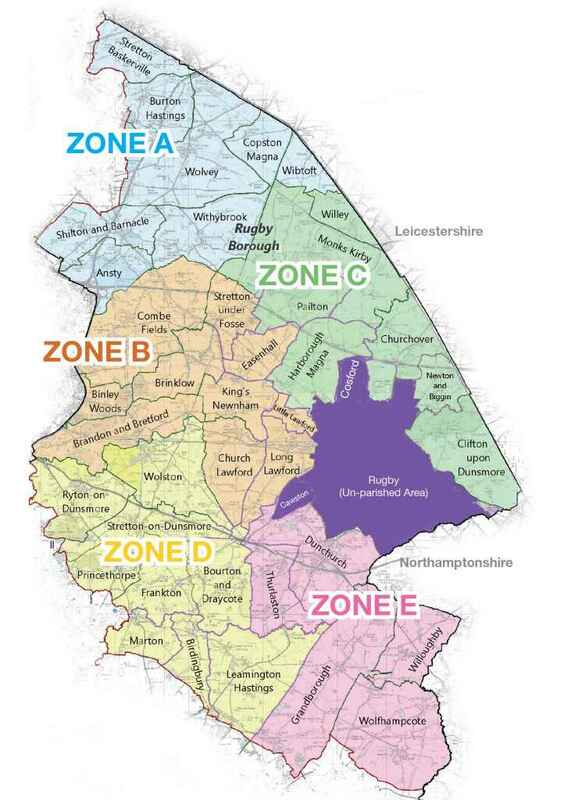 Each zone will receive a service once a week. Passengers from each zone will be collected between 10am – 11am. 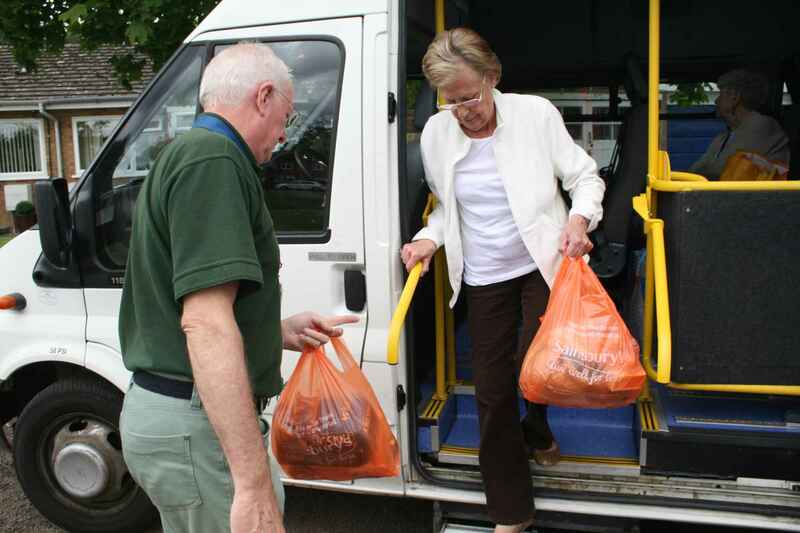 Then collected for their return journey between 1pm – 2pm. To use Back & 4th Dial-a-Ride you will first need to complete a short membership registration, this can be done over the telephone. Once registered you can book your seat up to 7 days in advance and with a minimum of 2 days notice before you wish to travel. On booking we will endeavour to confirm your journey collection and drop off times. If we are unable to accommodate your requested time we will telephone you 2 days before to offer you a revised time.